Just a few days back I'd written something about the benefit of hindsight. But, the prominence of that phrase has started sinking in only now as it is going to be a fortnight since my dad passed away and to get over the grief and to soak up my tears I am making futile attempts to remember the tiffs, fights, grudges etc. that I had with or against him, but somehow they do not sustain beyond a few seconds and soon they are overlapped by happy and positive memories that make the other things look frivolous. One incident that comes to my mind happened when I went to write my Final year B. Com exam in a college as a private student (i.e. someone who studies sitting at home or attending private classes and goes to college just to write the final exams). That year the college had appointed a new person as the in-charge of Examination, who obviously wasn't familiar with my needs. So, when he saw my dad carry me inside followed by my scribe, he refused to make me sit in my usual seat in the library or any other place on the ground floor saying that the other students writing exams will get disturbed or they would write whatever I dictated to my scribe. He made dad carry me up to the second floor searching for an empty classroom. I could sense that he was panting and sweating profusely, this made me upset and I told him if they make you carry me any further I don't want to write the exam. He was in an unusually upbeat mood that day and told me just to think of the paper that I was going to write and leave the rest to him, adding that he had the strength to carry me to the terrace of the building. Luckily things cooled down and from the next day I was provided a seat in a corner in the library. Now, if I think about it I feel that I wouldn't have graduated if my dad had mentioned he was tired or fed up of the circus that he was made to do with me. 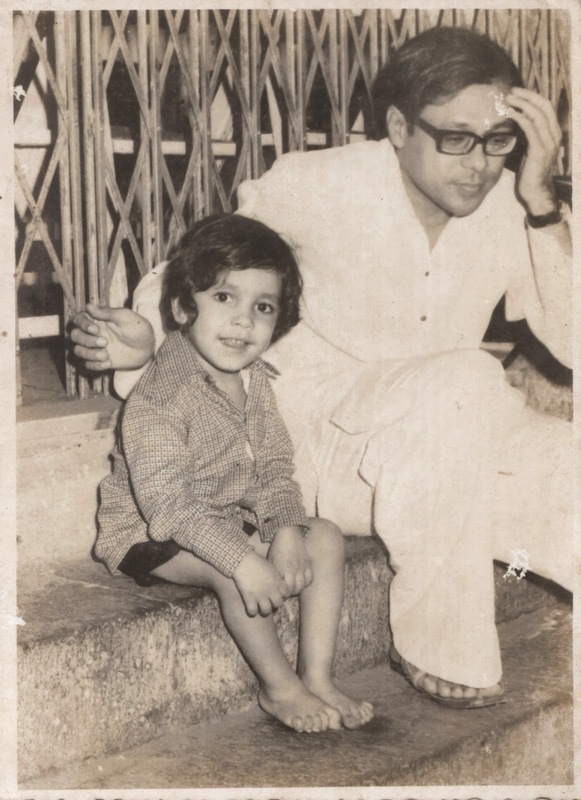 There are many more such incidents where dad proved to be my shield or saviour when the whole world seemed to be against me, yet he never boasted about the greatness of his action or made me feel that he had done something extraordinary for my sake. PS: you can read more about my dad here, here, and see his one more picture here. Really touching. Especially that photo. Please accept my condolences, Paresh. Hi Paresh, I got to know about you from a mutual friend, Rahul. I got inspired from you. Sad for your loss but I am happy to find a touch of positivism in your thoughts about life.